Nordic Semiconductor’s Bluetooth 5 developer solution for its nRF52840 SoC comprises the Nordic S140 v5.0 multi-role, concurrent protocol stack that brings Bluetooth 5’s long range and high throughput modes for immediate use to developers on the Nordic nRF52840 SoC. The Nordic nRF5 SDK offers application examples that implement this new long-range, high-throughput functionality. The existing Nordic nRF52832 SoC is also complemented with a Bluetooth 5 protocol stack. Bluetooth 5’s high throughput mode offers not only new use cases for wearables and other applications, but also significantly improves user experience with Bluetooth products. Time on air is reduced and thus leads to faster more robust communication as well as reduced overall power consumption. In addition, with 2 Mbps, the prospect of audio over Bluetooth low energy is possible. The new Preview Development Kit (nRF52840-PDK) is a versatile, single-board development tool for Bluetooth 5, Bluetooth low energy, ANT, 802.15.4m, and 2.4-GHz proprietary applications using the nRF52840 SoC. The kit is hardware compatible with the Arduino Uno Revision 3 standard, making it possible to use third-party-compatible shields. An NFC antenna can be connected to enable NFC tag functionality. The kit gives access to all I/O and interfaces via connectors and has four LEDs and four buttons which are user-programmable. Qorvo recently launched its latest e-book series, Internet of Things For Dummies, in partnership with John Wiley and Sons. The two-volume series—Internet of Things For Dummies and Internet of Things Applications For Dummies—is available as a free download. Intended for both technical and nontechnical professionals, the e-books cover the basics of the IoT market, RF challenges, and how it’s being implemented. Silicon Labs now offers a digital audio bridge chip and evaluation kit designed to simplify the development of accessories for iOS devices. Target applications include audio accessories such as guitar and microphone recording dongles, audio docks, and headphones. The CP2614 IC also provides built-in support for communication between iOS applications and accessory hardware, enabling a broad array of Internet of Things (IoT) accessories that operate with a companion iOS app. The CP2614 bridge chip and MFI-SL-CP2614-EK evaluation kit provide a cost-effective, comprehensive development platform for iOS accessory developers, enabling fast time to market through fixed-function MFi support. The CP2614 solution requires no firmware development, which helps developers get up and running quickly with their MFi accessory designs. Developers simply select their customization options with an easy-to-use GUI-based configuration tool. The CP2614 bridge chip carefully manages and minimizes power consumption, achieving ultra-low power in both active and idle modes. The CP2614 IC’s energy efficiency makes it good choice for device-powered accessories. In addition, the CP2614 includes an integrated 5-V low drop-out (LDO) regulator, which reduces BOM cost and footprint for self-powered accessories. The CP2614 device operates without an external crystal or EEPROM, storing all configuration options on chip. The crystal-less architecture and integrated EEPROM further reduce BOM cost as well as PCB space, enabling developers to design smaller, more streamlined and cost-effective accessories. The CP2614 audio bridge chip supports 24-bit unidirectional and 16-bit bidirectional digital audio streaming, enabling developers to create high-quality, high-performance “prosumer”-class audio accessories. The CP2614 can establish a communications channel with an iOS application, enabling the app to interact directly with the accessory hardware through general-purpose input/output (GPIO) read/writes and access to the UART for custom data flow. The GPIO can be configured for button input and LED output and accessed remotely from an iOS app or used to control audio playback. The CP2614 audio bridge IC and MFI-SL-CP2614-EK evaluation kit are in full production and available to MFi licensees today. Available in a 5 mm x 5 mm QFN32 package, the CP2614 IC is priced at $2.51 (USD) in 10,000-unit quantities. The MFI-SL-CP2614-EK is priced at $59 (USD MSRP). MFi licensees can order the evaluation kit through the Apple MFi Procurement Portal. Featured Product: The XBee product family (www.digi.com/xbee) is a series of modular products that make adding wireless technology easy and cost-effective. Whether you need a ZigBee module or a fast multipoint solution, 2.4 GHz or long-range 900 MHz—there’s an XBee to meet your specific requirements. module, which fully integrates into the Device Cloud by Etherios, the kit is a simple way for anyone with an interest in M2M and the IoT to build a hardware prototype and integrate it into an Internet-based application. 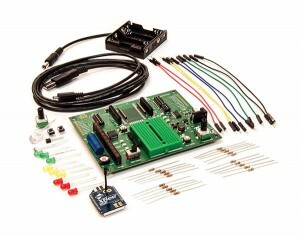 This kit is suitable for electronics engineers, software designers, educators, and innovators. Exclusive Offer: The XBee Wi-Fi Cloud Kit includes an XBee Wi-Fi module; a development board with a variety of sensors and actuators; loose electronic prototyping parts to make circuits of your own; a free subscription to Device Cloud; fully customizable widgets to monitor and control connected devices; an open-source application that enables two-way communication and control with the development board over the Internet; and cables, accessories, and everything needed to connect to the web. The Cloud Kit costs $149. The 4050 Series is a new line of four dual-channel function/arbitrary waveform generators. The instruments can generate 5-to-50-MHz waveforms for applications requiring stable and precise sine, square, triangle, and pulse waveforms with modulation and arbitrary waveform capabilities. All models provide a main output voltage that can be vary from 0 to 10 VPP into 50 Ω and a secondary output that can vary from 0 to 3 VPP into 50 Ω. The generators feature a 3.5” color LCD, a rotary control knob, and a numeric keypad with dedicated waveform keys and output buttons. The 4050 Series provides users with 48 built-in arbitrary waveforms. Using the included waveform editing software via the standard USB interface on the rear, users can create and load up to 10 custom 16-kpt waveforms. For general-purpose interface bus (GPIB) connectivity, an optional USB-to-GPIB adapter is available. The generators offer a variety of modulation schemes for modulated signal applications including amplitude and frequency modulation (AM/FM), double sideband amplitude modulation (DSB-AM), amplitude and frequency shift keying (ASK/FSK), phase modulation (PM), and pulse-width modulation (PWM). Additional standard features include a linear and logarithmic sweep function, a built-in counter, sync output, a trigger I/O terminal, and a USB host port on the front panel to save and recall instrument settings and waveforms. A standard external 10-MHz reference clock input is provided to synchronize the instrument to another generator. The 4052 (5-MHz) costs $499, the 4053 (10 MHz) costs $599, the 4054 (25 MHz) costs $850, and the 4055 (50 MHz) costs $1,050. Note: B&K Precision is offering 10% off MSRP through November 30, 2013. See website for details. Embedded Products/Services: The NetBurner solution provides hardware, software, and tools to network enable new and existing products. All components are integrated and fully functional, so you can immediately begin working on your application. 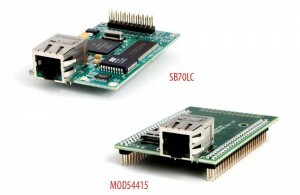 Serial to Ethernet: Modules can be used out of the box with no programming, or you can use a development kit to create your own custom applications. Hardware ranges from a single chip to small modules with many features. Core Modules: Typically used as the core processing module in a design, core modules include the processor, flash, RAM and on-board network capability. The processor pins are brought out to connectors and include functions such as SPI, I2C, address/data bus, ADC, DAC, UARTs, digital I/O, PWM, and CAN. Development Kits: Development kits can be used to customize any of NetBurner’s Serial-to-Ethernet or Core Modules. Kits include the Eclipse IDE, a C/C++ compiler/linker, a debugger, a RTOS, a TCP/IP stack, and board support packages. Product Information: The MOD54415 and the NANO54415 modules provide 250-MHz processor, up to 32 MB flash, 64 MB DDR, ADC, DAC, eight UARTs, four I2C, three SPI, 1-wire, microSD flash socket, five PWM, and up to 44 digital I/O. Circuit Cellar prides itself on presenting readers with information about innovative companies, organizations, products, and services relating to embedded technologies. This space is where Circuit Cellar enables clients to present readers useful information, special deals, and more. Embedded Products/Services: SMX® RTOS is a modular Real Time Operating System designed to meet the needs of small to medium-size embedded systems. It offers these modules: Preemptive multitasking kernel, TCP/IP dual IPv4/IPv6, 802.11a/b/g/i/n WiFi, USB Host/Device/OTG, flash file systems, GUI, security, IEEE 754 floating point, and more. Each is a strong product on its own, and all are tightly integrated to work well together. It offers good support for the latest ARM, Cortex, and ColdFire processors. See www.smxrtos.com/rtos and www.smxrtos.com/processors. SMX® RTOS offers a broad selection of middleware modules, optional protocols, and drivers for the latest embedded processors. All are tightly integrated and work well together, so you can spend your time developing your product rather than gathering components from all over the Internet and integrating them. All are strong products on their own. SMX comes with full source code and simple, unambiguous, royalty-free licensing. You are free to modify our products in any way you wish and need not return changes to us. Client Profile: Custom Computer Services (CCS), Inc. Custom Computer Services (CCS), Inc.
Embedded Products/Services: CCS specializes in embedded software and hardware development tools. Available to the development community is a range of solutions for Microchip Technology microcontrollers, and digital signal controllers (DSCs), that include: C compilers, prototyping boards, development kits, and programmers/debuggers. CCS also offers custom engineering services and a line of embedded Ethernet devices (e.g., EZ Web Lynx). For more information visit www.ccsinfo.com. New libraries—generate relevant and tight code for a specific application. Included are: RS-232, RS-485, PWM, timers, a capacitive touchpad, and more. C++ stream operator support—C++ streams provide a unified interface for I/O and data formatting. Exclusive Offer: For Circuit Cellar readers, CCS is offering $60 off the purchase price of any development kit. 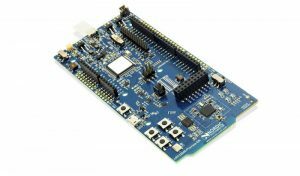 Development kits include: the IDE C Compiler, prototyping board, an ICD-U64 debugger/programmer, a breadboard with auxiliary parts, a power supply, and cables. Call the sales department at 262-522-6500 ext. 35 and mention the promo code CC60, or visit www.ccsinfo.com and use the promo code CC60 in your cart. This offer is valid until August 31, 2013. Embedded Products/Services: The ARM tools range offers two software development families that provide you with all the necessary tools for every stage of your software development workflow. ARM Development Studio 5 (DS-5) provides best-in-class tools for a broad range of ARM processor-based platforms, including application processors and multicore SoCs. Find out more by visiting www.arm.com/products/tools/software-tools/ds-5/index.php. Keil MDK-ARM is a complete software development toolkit for ARM processor-based microcontrollers. 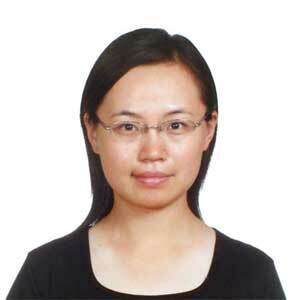 It is the right choice for embedded applications based on the ARM Cortex-M series, ARM7, ARM9, and Cortex-R4 processors. To find out more, visit www.arm.com/products/tools/software-tools/mdk-arm/index.php. Product Information: The MDK-ARM is a complete software development environment for Cortex-M, Cortex-R4, ARM7, and ARM9 processor-based devices. MDK-ARM is specifically designed for microcontroller applications. It is easy to learn and use, yet powerful enough for the most demanding embedded applications. The MDK-ARM is available in four editions: MDK-Lite, MDK-Basic, MDK-Standard, and MDK-Professional. All editions provide a complete C/C++ development environment and MDK-Professional includes extensive middleware libraries.